Chasin' Mason: [Autism] Some Advice for Parents of Newly Diagnosed Children. [Autism] Some Advice for Parents of Newly Diagnosed Children. Please note that these are just things that I've found helpful in my journey through motherhood with a child with autism. Everyone's experience will be different. It's been almost two years now that we've been on this journey and I can't believe how far we've all come. When Mason was first diagnosed, I wrote this letter and it was truly how I felt. Some may say I was naive, some may say I was lost, some may say I had no idea what I was doing. And they'd probably all be right. No parent ever wants anything wrong with their child, no matter how big or how small, so yes, I probably was in a bit of denial. They can't be right. My child is perfect. But they were right. AND my child is perfect. In his own way. And I wouldn't change a single thing about anything. I've been wanting to share a few tips that I have for a while now, but I definitely don't want to come off as "knowing it all" because I DO NOT KNOW IT ALL. I am just a mom trying to do the best that I can. 1. It's ok to feel confused and overwhelmed. Someone just told you that there is something "wrong" with your child. It's ok to feel overwhelmed and confused! What does this mean? How is your life going to change? Where do you go from here? There are SO many questions that come up after a diagnosis and it's ok to feel like you have no idea what to do. The doctor basically told us that Mason had autism and then said "do you have any questions?" I basically just sat there with a dumb founded look on my face thinking YES I have TONS of questions yet no questions would come out of my mouth. I didn't know what to say or what to ask so I just said that I was good for the time being. 2. Take autism classes at the place that your child was diagnosed. I cannot stress this enough. This was a life saver for Seth and I. 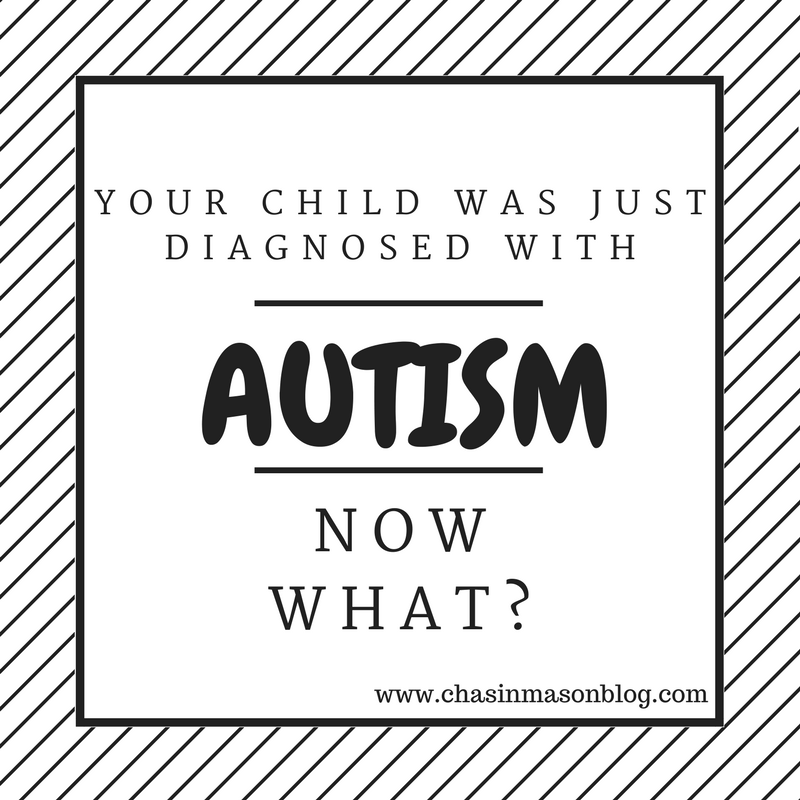 After Mason was diagnosed, we knew NOTHING about autism. My main question was "what do we do? what does this mean?" and the classes that we found answered that. And more! Seriously, this was SO helpful to me. For the sake of people's privacy, I won't name names, but I had an amazing support system from day 1. I know someone whose children have autism and while she doesn't live in the same state as me, she gave me TONS of advice and help from just having gone through something similar. Every state has different laws and supports in place for children with special needs. It's important to talk to people in your state as well, but out of state people can help too. My out of state person was able to give me some advice on the next steps to take, what information to look up online, and who to talk to. It was seriously SO helpful. I also talked to a friend who is a speech language pathologist who recommend looking into our county Regional Center to help with services. Regional Centers typically only help children that are younger than 3, but it never hurts to ask for information. 4. Search for Facebook groups of people in your area with similar situations. One of my friends started a group on Facebook that is for moms in our area with kids with special needs. This encompasses ALL special needs, not just autism, but I've learned SO much from these moms and they have all become amazing resources for various things - doctor references, therapy references, IEP help, you name it, someone has experienced it. I'm also a part of two other groups that are specifically for moms (or dads) of kids with autism and those groups are super helpful as well. This is KEY. Seriously, SO IMPORTANT. When our kids are young, their brains are little sponges. I'm sure everyone can agree with that. Whether your child has special needs or not, they will start soaking up every little thing you do and you say, which is why if they need extra help, you get them the help EARLY. Nobody wants to think about the fact that their child might need extra help, but ignoring it is just doing your child a disservice. Heck, I'll admit, I just wanted to believe that Mason was a "late bloomer". His speech would catch up. He wasn't doing things later than kids his age. I called to schedule an ADOS test (test to check for autism) at our local center for autism and they said the next appointment they had was 3 months away. I said that was fine. I didn't want to come in sooner. I thought the longer we waited, the more time Mason would have to catch up. They said they'd call if they had any earlier openings. I said ok, but secretly hoped they wouldn't. We went in on the day of the test and I thought Mason was doing so good. I truly had no clue what they were looking for, but I had every confidence that he was going to "pass" their test. We went back a couple weeks later to go over the results and they told us that Mason has autism and my heart sank. They were finally saying the words out loud that I had in the back of my mind the whole time but didn't want to believe. Don't ignore the signs. Don't ignore the doctors. If you have any question at all, get your child tested so they can start getting the help they need. 6. Get your family onboard. Educate them. This will be new to them too. Having your family on your side and fighting for you is so important. They will be confused. They will have questions. They will want to know what this means for your child. Share what you know. It's ok if you don't have all the answers. They want to be there to help. Help them help you. 7. Most importantly, make sure you are your significant other are on the same page. This is SO important! I haven't actually looked it up, but they say that the divorce rate is higher of parents of special needs children. It's extremely sad to say, but honestly, it makes sense. Having a special needs child can be stressful. There are TONS of decisions that need to be made and TONS of appointments that need to be scheduled and gone to. For Seth and I, we always try to do everything together. And for the most part, I'd say we've been to about 90% of all of Mason's appointments together (not his ABA therapies, but actual doctor appointments). Seth's taken Mason to a couple ENT appointments on his own and I took Mason to the eye doctor on my own, but other than that, we both go. 8. And one last thing... get organized! There will be A LOT of information thrown your way in the early months. I had a lot of information that doctors gave us, that friends gave us, that I found online, etc that I wanted to keep, but it was piling up and super unorganized. Then we started therapies and I had authorizations and evaluations and so much more just sitting there in a nice neat pile... on my counter. I finally got a binder and tabs and made everything organized. I have a tab for the place Mason was diagnosed (we go every 6 months to check in with his developmental pediatrician and I keep all the papers they give us), a tab for speech stuff, a tab for his preschool stuff, a tab for authorizations, a tab for his ABA stuff, and a whooooooole other binder for stuff relating to the transition to the school district and IEPs. I actually pulled it out during one evaluation and the person evaluating commented on how organized I was. It might seem like over kill, but it is SO helpful to me to know where to find something when I need it. I don't like to give too many details or exact locations of things on the internet for all to read for obvious privacy reasons, but if anyone ever has any specific questions, please feel free to leave a comment below (make sure your email is linked to your profile so I can respond!) or send me a private email at chasinmasonblog@gmail.com and I'd be happy to help if I can! These are such great tips, friend. I know this will be very helpful to someone, even if it's for the sake of not feeling alone. While my Mason doesn't have autism he does have ADHD and I feel like so many of the things you wrote above relates to us, too. This is such a great post, thanks or sharing. I'm sure this will be super helpful to someone going through the same thing as you just did. You are an amazing mama, and are doing such a good job. You continue to be such a wealth of knowledge and advocate for autism awareness. Love it! Early intervention is so important! You guys are doing awesome with Mason! 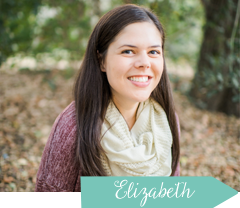 You continue to amaze me, Liz. This is such a plethora of information that is sure to be so resourceful to someone just starting out in their journey. I have to say, number six jumped out to me. Though I know I'm not family, I feel like we've learned so much from you, Seth and Mason.